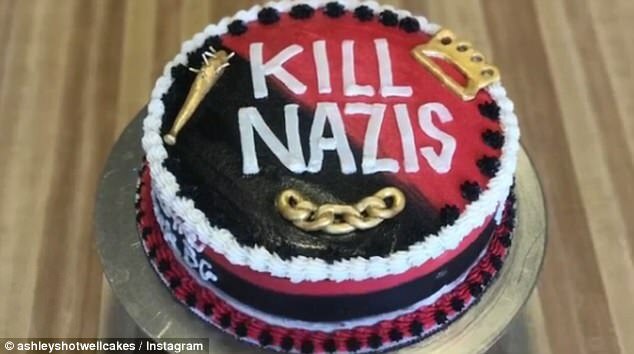 One look at her, then comparing the "antifascist" cake to her inspiration, begets but a single inquiry: Why is this news? I'm racist. I hate cops/nazi's and stupid people. 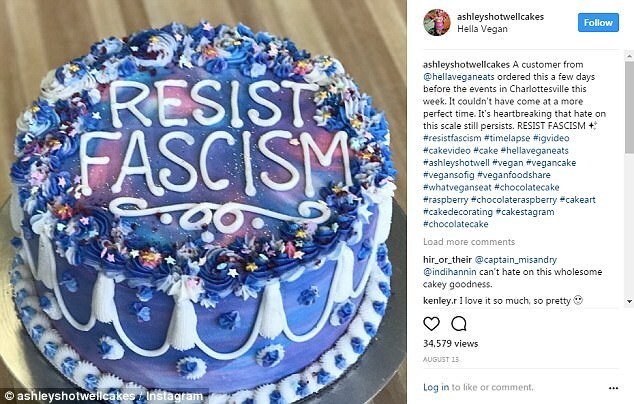 She should bake a kill stupid people cake now. If she did I would hire her personally to bake the cake for my future wedding. Good for her. Freedom of speech baby!!! 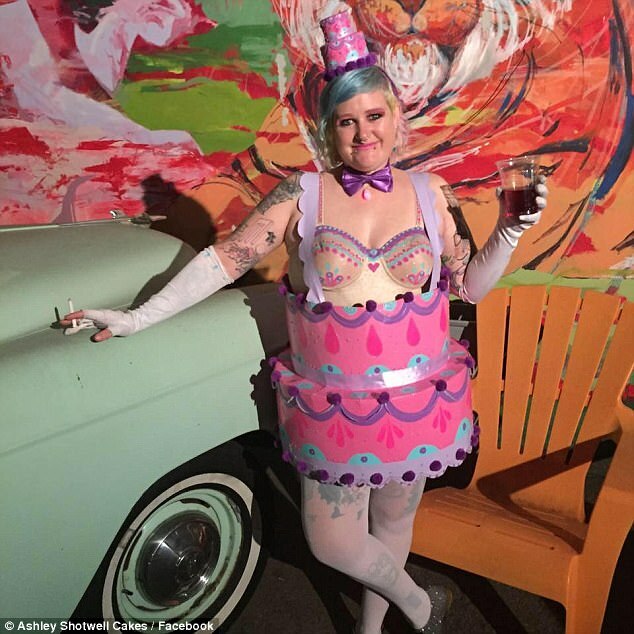 Weird colored dyed hair, tattoos, drinking apparently wisky, and smoking a cigarette, and totally out of shape. I won't even mention the outfit.